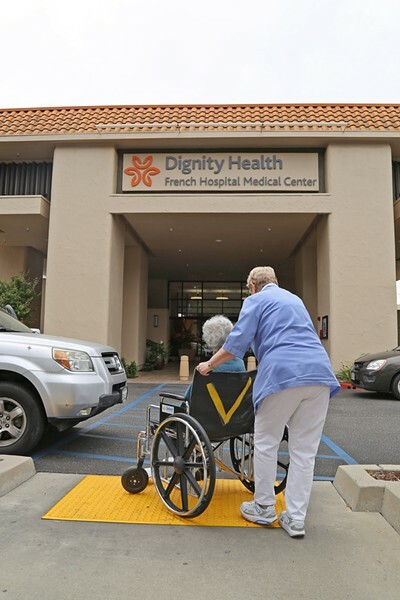 The California Attorney General's Office approved a planned merger between Dignity Health and Catholic Health Initiatives, but not before adding several conditions on the deal. GREEN LIGHT The California Attorney General’s Office approved a merger between Dignity Health and Catholic Health Initiatives, but set several conditions on both organizations. According to the conditions set by the Attorney General's Office, the newly formed organization, called Common Spirit Health, will operate nearly 140 hospitals in 16 states, including 30 hospitals in California. That includes French Medical Center in SLO and Arroyo Grande Community Hospital. The new organization must maintain emergency and women's health care services for the next 10 years, among other conditions. "Our office carefully reviewed this transaction to protect patients and our communities here in California, and our office will monitor compliance with the conditions," Sean McCluskie, chief deputy to the attorney general, said in a written statement on the decision. In addition to maintaining those services, the conditions also include stronger protections for financially needy individuals struggling with the high cost of health care. The decision by the Attorney General's Office comes after a lengthy public comment process on the proposed merger. In addition to receiving more than 500 written comments from the public, the office also held 17 public meetings across the state, including one in San Luis Obispo in September. At those meetings, some residents raised concerns that the merger would negatively impact the availability and quality of health services for women, LGBTQ individuals, and the poor. In a Nov. 21 written statement on the decision, Dignity Health President and CEO Lloyd Dean said the organization would maintain its facilities and services, and characterized the attorney general's review as "extensive" and "an important step forward."